Captain America: The First Avenger isn’t due to hit theaters until June 22, 2011, but filming has begun in England- as have the inevitable leaks that resulted in our first look at Cap in action. 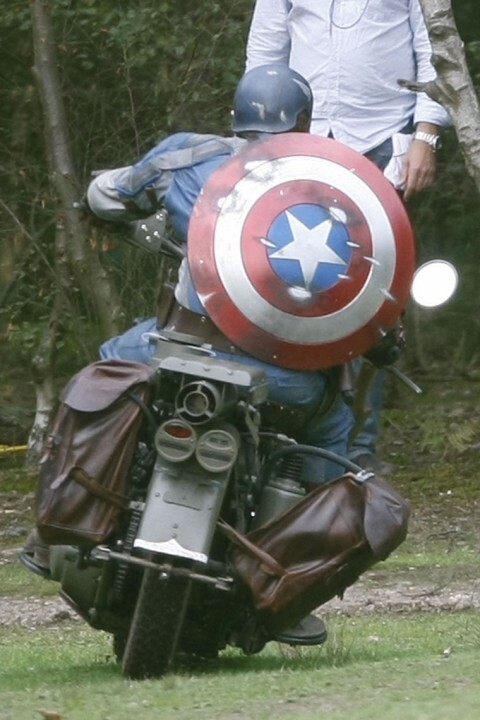 The images leaked online are somewhat unremarkable in terms of story (Cap rides a motorcycle, the Red Skull’s soldiers ride motorcycles, there is probably a chase scene in the movie- cool, but not revealing), but it is the first official look of the costume that we have seen in action. The concept drawings were first leaked back at the beginning of June, but these are the first real shots of Cap in costume. Or at least Cap’s stunt double in costume. 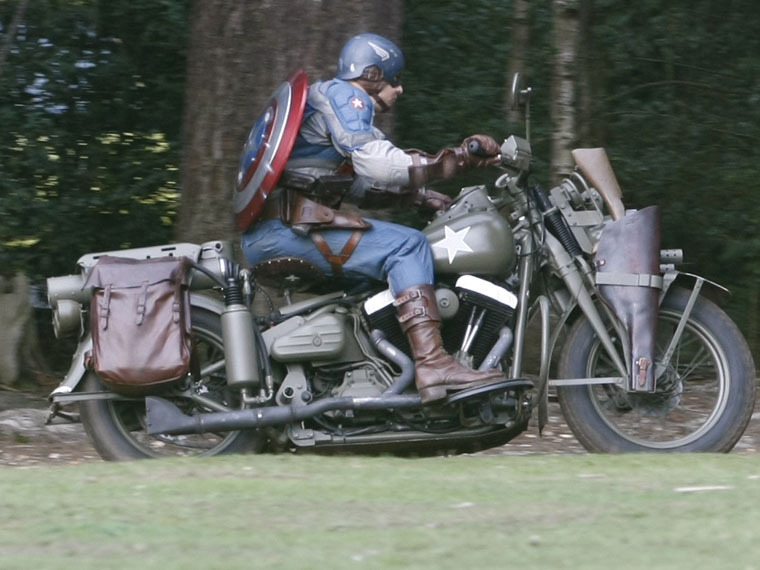 And today his stunt double was snapped in a leafy London location, dressed in full regalia, riding a US Army Indian motorcycle. True to the original character, the costume comprised the colours of the American flag, complete with a huge star on the chest, helmet and cape. 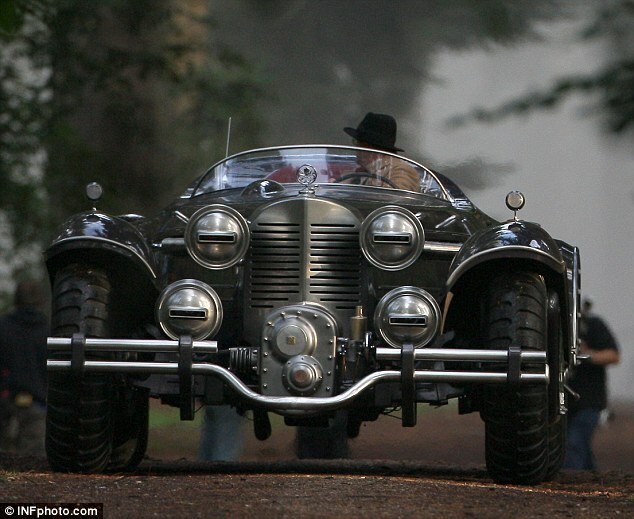 There was also a magnificent Forties-style car on set, which was seen being driven through a woodland location, as well as some more futuristic looking motorcycles. 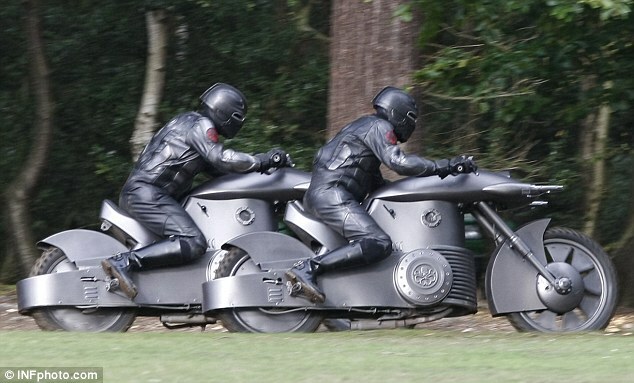 The riders of the futuristic motorcycles appear to have a Red Skull logo on their shoulders, which would make sense. Captain America: The First Avenger stars Chris Evans as Cap, Hugo Weaving as the Red Skull, and is being directed by Joe Johnston.